Simplicity isn’t just a design principle at Apple - it’s a value that permeates every level of the organization. 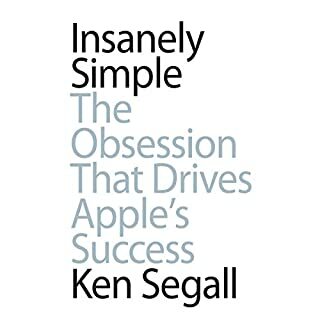 The obsession with Simplicity is what separates Apple from other technology companies. It’s what helped Apple recover from near death in 1997 to become the most valuable company on Earth in 2011. Thanks to Steve Jobs’s uncompromising ways, you can see Simplicity in everything Apple does: the way it’s structured, the way it innovates, and the way it speaks to its customers. This book is honestly one of the best books I’ve ever read. It has clarified and changed the way I look at marketing and business, I’ve started applying the concepts to my own business while reading and things have drastically changed! Thank you!